Welcome to The Shooting Star! My name is Shivya Nath. I’ve been called a storyteller, writer, digital nomad, instagrammer, social entrepreneur, solo traveller, vegan and environmentalist. But in my heart, I’m just a girl who travels. In 2011, at age 23, I quit my 9-to-5 corporate job with a dream of travelling the world. In 2013, I gave up my home, sold most of my belonging and began living nomadically. In 2015, I turned vegan and decided to cut out all animal products from my diet and lifestyle. In 2018, I published a book – also called The Shooting Star – about my personal journey and how my travels have shaped my life choices. I was overwhelmed when it became a national bestseller in just over a month of release! By the Mediterranean Sea in Ibiza! I grew up in a protective Indian family in Dehradun, a valley at the base of the Himalayas, and spent my childhood wondering what lay beyond the mountains I could see from my roof. Upon finishing high school, I went to Singapore to study, with big dreams and a big student loan. As luck would have it, I graduated in the middle of the financial recession of 2009, when most companies I wanted to work with had ceased hiring. I landed a job with the Singapore Tourism Board, where my experiments with social media began, and I first got interested in travel bloggers around the world. It was impossible to tame my restless cubicle-bound soul, so in 2011, I took a 2 month sabbatical from work. I went flash-packing across Western Europe with a friend, and volunteer-travelled by myself in the high Himalayas of India. In those two months, I saw, experienced and lived more than I ever had before, and decided to quit my first and only corporate job with the dream of travelling the world on my own terms. In 2014, the story of how I quit my job to travel was featured on BBC Travel. In 2017, I was featured on the cover of National Geographic Traveller India magazine! 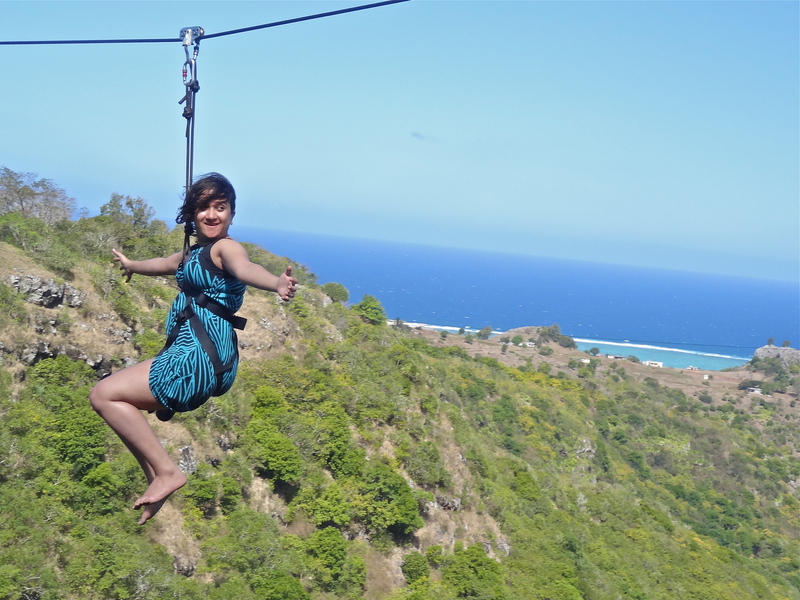 Zip lining over the Indian Ocean on the remote Rodrigues island. I’m not a backpacker. While I carry a convertible backpack for convenience, I like to stay in experiential accommodations (think homestays), seek local experiences and don’t believe in counting every penny I spend. I like to go slow, get under the skin of a place, spend time with locals and experiment with the local cuisine; here’s how I survive and thrive as a vegan traveller. I mostly travel solo or with my partner; group travel with a fixed itinerary is just not for me. I believe that our travel choices have an impact on the places we visit. On my part, I try to contribute to the local economy, prefer public transport, avoid plastic bottled water, say no to unethical animal attractions, consume no animal products, prefer to eat what grows in the region, seek out eco-friendly markets and try to form my own opinions of the places I visit and the people I meet. 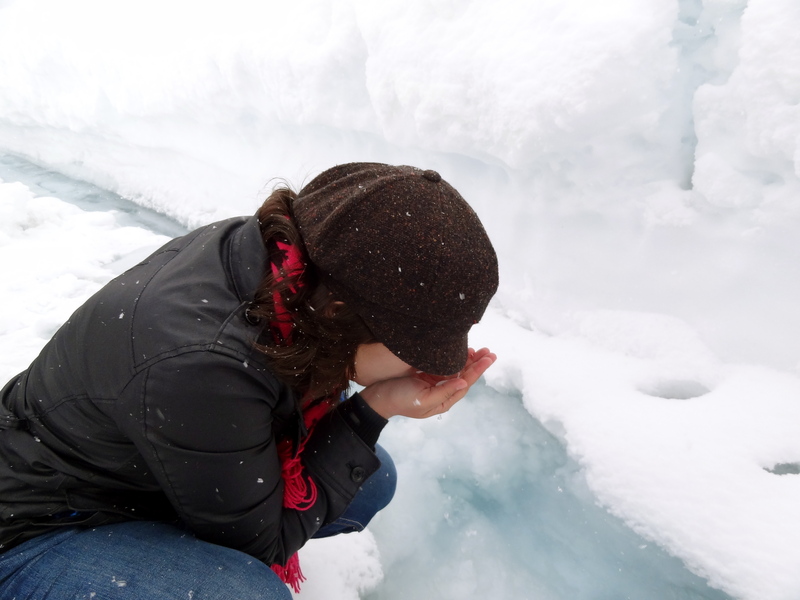 Sipping glacial water in Canada. At the beginning of 2019, I took a pledge to cut down flying as much as possible – and now I’m hooked to slow land journeys! In January this year, I embarked on an epic solo land journey from Thailand to India via Myanmar, and through February and March, my partner and I are travelling overland from the Persian Gulf to Armenia via Iran. You can join my adventures live on Instagram, Twitter and Facebook. 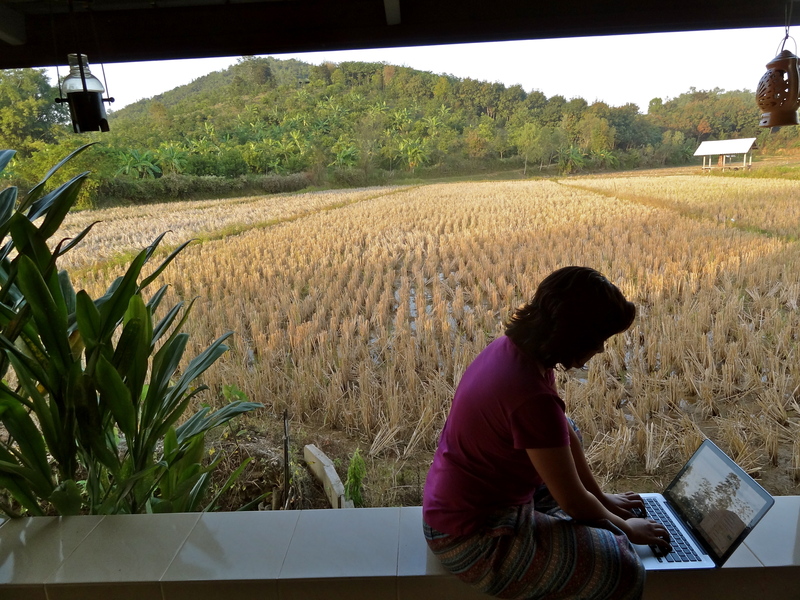 My office on the countryside of northern Thailand! 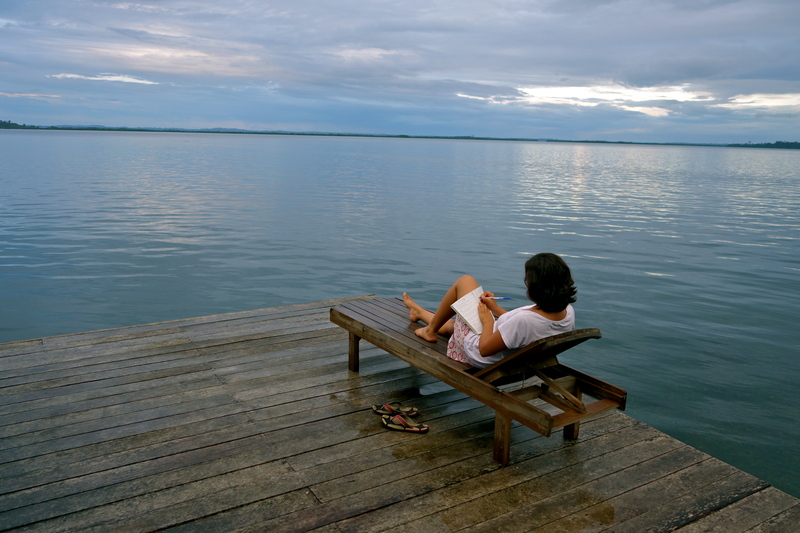 Writing by the shores of the Atlantic Ocean in Panama. If you are a tourism board or travel company interested in collaborating with me, please see my Work With Me page or email me at shivyanath@gmail.com. If you’re a fellow traveller or blogger and have questions that I haven’t yet answered on my blog, you can email me at theshootingstarblog@gmail.com; I respond faster to tweets and comments on Facebook and Instagram though. Thanks for reading! I’m glad we’re connected. Nice blog! The posts here portray you to be an intellegent person. Quite intellegent! Nice blog.I hope to return.By the way I’ve added you on my Blog Roll..
@ undercover – thanks! i can’t figure out what language you blog in! @ pavan, brightlightwarriornika, smallstar : Thanks! Put up more pics of you! saw your comment on daryl’s blog regarding Social Media Breakfast. Do join our FB group at http://tinyurl.com/smbsg to be notified when our next session will be. I also did my primary schooling from SJA! @ Mahak : Thanks! Wow, a fellow Josephite! Which year were you there? Shivya, all the best. Explore your world and life. that’s unique. Life is full of wonders and splendors – only if we ‘see’ it. Thanks. I am working in Pune in MNC and came across your blog.Nice blog with interesting posts and not saying for sake of saying:). Your comments will be appreciated.Can you link my website to yours and i do the same? I liked your title “shooting star”. I think that today the world need resilience. Call me if one day pass for Venice. came over by saadil’s blog.For ayoung one as you , you have lot of punch in ur words.Keep it up. Adding you to my blogroll…keep up the great work! Loved to find out the things that actually move you and I always knew you were a great mind with a golden heart. @ Salil: Thanks 🙂 Sure, I’ll check out yours too. @ Shah nawaz: Thanks 🙂 Hope you drop by often! @ Samagra: Thanks Sam 😀 Miss you! nice interests you’ve got !! @ Lucky: Thanks, and welcome to the shooting star! @ Vikas: Thanks and welcome here! good one shiv,thats an amazing work done on your part.keep going friend. @ Ankita: Thanks 😀 And welcome to the shooting star! It seems to be an interesting blog 🙂 Looking forward to learn a lot from you. What a find ! Congratulations on being a accomplished blogger ! If you’re thinking of freelancing , then I’d suggest get a domain. If you need help setting up that, I’m available 🙂 ! And hey, I’ve taken up freelance web designing! I am loving it ! @ Sidd: Hey, thanks 🙂 I’ll catch up with you next week! Thanks Yogesh & welcome to the shooting star 🙂 Hope the photography’s going well! Thanks Reseller, glad you see my writing improving! my grandad was nath. where are the naths most commonly from in india. I’m not so sure! Definitely somewhere in the north. I saw that you have included my blog as a link on your travel blog list. I feel very honoured, thank you very much. I think that you have some very nice stories here too. Keep up the good work. I saw that you have included my blog as a link on your travel blog list. I feel very honoured, thank you very much. I think that you have some very nice stories here too. I particularly like your last one about xmas, and couldn’t agree more about donating time and/or finances to those in need. Keep up the good work. I admire the travels you made and how you savor the adventures of each trip and sharing it to the world. great blog. thank you Island Traveler 🙂 Hope you continue to travel with The Shooting Star! Hey – I happen to come across your blog – and I think its brilliant. I have added you to my blog list and will be returning on a regular basis. hey do i know you? you sound a bit familiar. during my trip to cambodia i met another indian girl from a protective family somewhere in the mountains and she’s been travel writing for 5 years…wait you’re 23. so i guess you’re a different person?! she doesn’t live in singapore though. but her name is also shiva?! i’m confused!!! are you her? Awfully late reply Dew, but I’m pretty sure I’m not her. I was hardly in Cambodia for a day and would’ve remembered if I met someone. Then again, Shivya is such an uncommon name. Parallel universe maybe 😉 Welcome to The Shooting Star anyway! o i admire both of you so much!!!! so what do you do? do you do travel writing as a career? Hey I found you on Facebook. I saw some nice pics out there. I have already joined your FB page. Keep the great work. By the way why “The Shooting Star”. What makes you to choose this name. Thanks for dropping by Vishnu! Keep travelling and let the posts flow in ! I am delighted to hear that you liked that few lines on Shera Ghat. You have an amazing blog , just saw the headlines now ..cant wait to read one by one starting with Lake Garda and Dehradun . You will find more travelogue in my cooking blog because I have more followers there ha ha . Read this one http://ushnish.blogspot.com/2011/02/trip-to-sundarban-largest-river-delta.html and there are many on Northern Italy, which you will like. Thanks Ushnish, I’ll sure look them up. Italy calling! Pretty Fab , its inspiring ! the way u presenting is awesome… congrats to ur future discoverys..
im really enjoying to look ur blog…. Thanks Vinoth & welcome here! Great to find you! I love your country. Hope to meet up one day. Aw thanks Jim, it’s quite an incredibly country to not love 🙂 Let me know when you’re in Delhi next! Great blog. lucky to have come across. would like to chat with ya. I am in GGN. Thanks Pradeep & welcome to The Shooting Star! What a pleasure to read your blog. The fact that you are 24 and have juggled all of this, gives me hope. At 22 I haven’t lost my battle yet against corporate life. Thank you. Keep up with the wanderlust. Thanks Shaonli, we have the same last name! I’m glad my wanderlust inspires yours 🙂 Hope to see you at The Shooting Star often. its really gud blog… but i hav 1 q 4 u… when u started this blog… u quit ur job at 23… i m little bit confused in that …..
actually same thing happening with me also yaar , sum time i tried to write on technical skills or sumtime stock market or personal….. and last i stopped writing into blog and convert into my dairy!!!! I am returning here again n again to get inspired for future journeys! I bumped into your linkedin page and found we got common friends Amrita, Prajakta (from S’pore). Applaud your brave steps and wish you good luck to keep going! I have also travelled quite a bit and love photography (https://www.facebook.com/prasphotography?ref=hl) Hope to crossroads someday! Thanks Rohan, and welcome to The Shooting Star! Simply loved your site…and the fact that you are living what so many of us (including me) just dream of! I wish I could chuck my corporate job and just travel and write…I do travel whenever possible but it’s just not enough. Good going girl! Thanks Amrita, and welcome to The Shooting Star 🙂 It was a distant dream for me until just a year ago, so don’t give up on it! Off to read your blog now. Very inspiring and informative blog. Loved the idea of responsible travel, something that has to be instilled among the increasing number of tourists to preserve many beautiful places. That’s awesome Ashwin, and glad you found my blog 🙂 Your Ladakh features are great, loved the pictures. Seems like comments are disabled there so saying it here! Thanks Conan, and welcome to The Shooting Star! hey, I am checking your Facebook out now. well done shivya …your are inspiration for all those who want to leave their corporate jobs and follow their dreams. Please reply to my mail. Darshil Mandalia. Planning for 3 days trip(Is it enough) to Jordan from Abu dhabi. Could you pl guide me like the places to visit(Sequence of start and end) and place to stay on a reasonable price. Gifton, I haven’t been to Jordan yet. (Turkey yes, and that’s fabulous). I guess Jordan tourism’s website will be able to help. Great blog… i’m gonna peek in from time to time for more of your fascinating travel stories. Hey Shivya, I have a blog too. Like your travel bug, I have the writing bug. For the first time in all my life, I stumbled upon a blogger I could absolutely admire for who she is and what she does. I haven’t written in a long time now (7 months), because as a final year engineering student, I’m figuring out hard how to escape the corporate for doing that which fuels the fire in my belly. I’m sure I’ll find my way out, to that place Rumi talks about–Elsewhere. Thanks for dropping by, Kritika; I’m so heartened to hear your comment. I’m sure you’ll find your ‘elsewhere’ soon enough. Off to check out your blog soon; start writing again! Hi Shivya, stumbled into your blog while looking for vegetarian food in Turkey. I am really inspired, I see myself doing exactly the things, travelling to the places that you are now. Spain,France,Spiti are high on my list(although there’s no way I’m quitting my job, that’s what funds my travels) And I’ll definitely visit Guzeylurt. I’m glad I’ve kept 4 days for Cappadocia in my trip. And I really like to read accounts written by indian vegetarian travellers, its kind of reassuring. Thank you! I can sense that there are so many adventures lined up for you too. Southeast Asia is a great place to start. I am a blogger, penning randomly on anything and everything ..however, I love travelling and photography and I stumbled upon yours at blogadda… and I am so glad I did. Your blog is great and you are an inspiration … an inspiration to do what one loves to. So glad to have stumbled across your blog! I really admire your spirit and welcome any advice you have on travelling in India. It also thrills me that you are from Dehradun as I am about to embark on a one month project there and look forward to reading on your travel advice for in and around that region. Congrats on everything you have achieved. I’ll definitely be following! Thank you! What kind of a project are you doing in Dehradun? I’ll be happy to share what recommendations I have, but to be honest, it’s a region I’ve hardly explored. And that’s because each time I’m home, I have to report on where I’m going, why, when, with who et al. It’s exhausting. So I just stay cooped up at home and rejuvenate 😉 It’s a beautiful little town nonetheless. This is definitely one of the most inspiring travel blogs I have come across by far (Written by an Indian). You are a role model for women who wish to travel solo. I feel proud of you for having the courage to give up a corporate job and follow your heart. You are the perfect example of how traveling can become a life transforming experience. 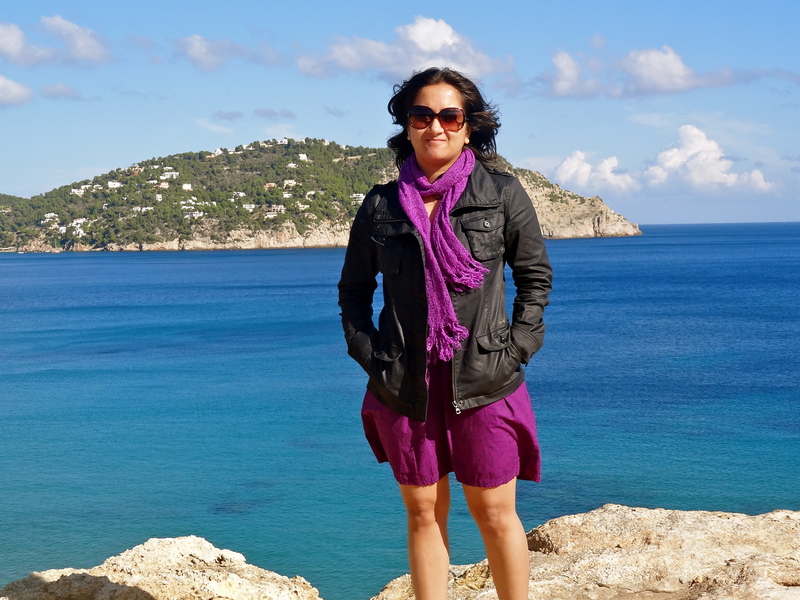 I’m a psychologist/Life coach and a newbie freelance writer who loves to travel and cook. And I would be glad if our paths cross someday. Glad you stumbled upon The Shooting Star! Thanks so much for your kind words. Your encouragement means so much 🙂 Sure hope to cross paths someday! Your story is very inspiring. I am very happy to see the way you have transformed your life. Keep up the good work. More women power to you!! vocabulary. t need to provide the full version to build their hope instead a trial version is more than enough to convey your ideas rightly. then labeling each one a “member”, then sending an email broadcast to all “members”. Again, there is official Disney merchandise that can fulfill this part of the costume. and back down to the other side. Oh, and don’t even get me started on the shirts she picks to go along with the skirt. Great blog ! Good luck. Hope to see you on TLC soon. Loved it! Living your dream is not something many people have the courage to do! Inspiring…truly you are!! Keep up the great travel escapades!! Hey girl, I envy you. You are truly brave and I salute you. I wish I had the guts when I was a lot younger. I hope and pray that your journey of life is just as fabulous as you are and your journeys to exotic places are. Will keep following your posts. much love and success for you! Am so glad I came across your site. Truly impressed with what you are doing! Good luck to you! Hey ncie blog..good to get inspired from you because i am also a treaveller..
You must be inspiring million others who are fond of travelling but due to their corporate life and work pressure they neglect the thought of travelling to places. Keep writing , Keep inspiring !! Stumbled across your website while looking for some info around travel writing. When I grow up I want to be like you! Hmm…well, that would have to be in my next reincarnation… till then I will live vicariously through you! Go, girl! This is one awesome blog! loved it.. thanks.. Very interesting blog and life!….all the best with your travels…. very interesting… thanks for sharing your experiences. They are indeed boosting and inspiring and keeping my dreams of travelling alive!! Great intro! Can’t wait to read where all you’ve been. I was working in Goa as of last year, and love to travel! There’s a couple of interesting places which you have not covered and you may like near Goa, and I’d love to discuss the same with you, given the opportunity. I’ll reach out through email. All the very best for your travels :)!!! I’ve found you through Maldives Dreamer! Great Blog! I don’t seem to remember how I stumbled onto your blog but I must say it’s extremely refreshing. Your travelogues are truly outstanding. Just wanted to let you know that your blog is amazing and I have quite enjoy reading it !! It was fabulous 2 c this didi . I am also very fond of travelling. I enjoyed reading your blog. You have great enthusiasm. I too was like that and did the same thing you did as well as my friends. We quit our lucractive corporate job on 10+ years and traveled the world for the next 8 years. When we decided to go back to the corporate life, we realized why they call it a corporate ladder. When you step off the ladder and decide to travel, the ladder you climbed has fallen and you start over. However, the corporate world doesn’t hire older or experienced people for entry level positions. Entry level positions are reserved for the 20 something year olds. We decided to go back to school for 4 years in hope of increasing our chances. That also didn’t work. So we now our overeducated with technical degrees earning a living in poverty. Lesson learned: Never leave the corporate world. Just be happy with he 2 week annual vacation. It’s better than living in poverty. You are an inspiration! Really liked your idea of being location independent. Hope to be that myself some day. You are a true inspiration to all the travel-bug bitten girls out here. I am so glad I stumbled upon your blog. Keep travelling and keep blogging! I find myself in the same shoes as of yours. Your work made me say ” Because of you I won’t give up”. What study did you do in singapore (subjects and degree) ? Shivya, I am just speechless! You are an inspirational travel blogger. I am so happy to have found your blog today. I would love to stay in touch! Keep up the good work. I’ll send you an email. What an amazing blog!! Glad to have found this one! I stumbled upon it as I was looking for some blog posts on Kanha! Its an amazing and inspiring story of yours. I’ll be honest to say that I envy people like you who actually live life on their terms. The rest of the people only wish they could. None can define The beauty of nature itself a writer,poet,traveler and a child.Famous Poet William Wordsworth has define as small child “Lucy” in his poetry “Lucy Gray” and famous Hindi poet Jayshankar Prashad has define in the character of “Manu” and “Shraddha” in his famous book “Kamayani”.Thank you for sharing such post….You have proved the role of writer to defining the beauty of Nature. The pic “In the last village of India before Tibet.” is very beautiful. I cant take my eyes off it. Can you kindly share more pics of that village. Dude, I just read your blog, and I cannot tell you how much you inspire me! I am in school – stuck with a possible college/ career that I do not want to do. Reading about you quiting your corporate job to do what you wanted just might have given me the inspiration to do that myself one day! And hats off for the courage to quit your job and pursue your passion..!!! Would go through your blog right way..!! Till then, stay in touch ..!! Your story is amazing, very inspirational. I’ve already got much more than an itch after half a year of backpacking and this just helps push that desire further! I have been to your blog, its really inspiring. I am a corporate guy but i think life is taking me on another track, i wish to travel all the world , discover places and search my soul. I am planning my first trekking to Manali in feb. with my friends, Later on i am really planing to travel solo and discover my self.Your blog on traveling will be really helpful to me. How much your parents are supporting to you? Shivya, u really dear to dream. And u proved it. So inspiring i am gonna read all of your blog now of how to travel. Excited. Les photos, les mots, réflexions, passion… plein d’harmonie ! Une occasion de voyager et découvrir un peu avec vous. Merci du partage. Congratulations on being a accomplished blog…. Learnt about you and been following you for last three weeks, Shivya. And this happened when I started looking out for people who quit their jobs and traveled. I am planning to do the same and making my plans for it. In the month of June, I started blogging regularly and going to continue doing that now. Well, just wanted to thank you for being one of those many who virtually made my belief stronger that “Yes, I can do it”. Keep flourishing, exploring, and sharing. There is so much gravity in your writing. I loved your blog and your stories made me feel an ache. I wish I was like in 20s, I wish I could quit my job and could travel. #Sigh# Nonetheless, keep writing and happy travelling. It’s never too late Jemsi! Work, earn, travel, repeat – that was my mantra before I took the plunge. PS: Welcome to The Shooting Star and so glad to hear you liked my writing. Great Going Shivya. I am also nurturing a childhood dream of travelling the globe. You are doing a fabulous job and kudos to you for your commitment and courage to leave behind a mundane but secure job and pursue your passion. Your blog inspires me to travel more and make something out of it. Like many of the people who commented above, I too wish to travel. Having just read a few of your posts, I wish I had the courage to leave my job and pursue that which I love. You are an inspiration and your writing is eye-opening. Hi, Shivya, I just stumbled on your blog through thrillophilia and I have become quite addicted to it. I was thinking of writing my own blog but procrastination creeps in everyday. Hope I could start one day. Hi Shivya, I read a lot of your work. Truly inspiring. And I can’t resist asking you which Camera do you have, after admiring the beautiful pictures in all your posts. I’m very happy that I have found your awesome and inspiring blog. It’s great to read travel stories from an Indian woman. Hello Shivya, I stumbled across your blog. Quite inspiring I would say. Though I haven’t travelled much, but still it is never too late right? 🙂 Hope to continue to hear more about your travels. Very informative blog. I have started blogging recently. I would like to relogceive some comments from you. I stumbled upon your blog when I was googling for “Top 10 Travel blogs” and am glad I found you site.I am passionate about travelling and has done quite a bit of travel within India. I have gone through some of your posts and found it interesting and motivating at the same time. So far I have only traveled within India. I have added your site you my favorites and will be coming back again soon but until that time I quickly wanted to thank you for share some useful post. btw, who is your travel photographer? Hi Shivya, It’s wonderful to meet you here! Love the blog and while I have only managed to read a few posts, I can tell you that I thoroughly enjoyed every word. It’s super amazing that you manage to travel far and wide! And why not! I completely identify with your passion for traveling and it is credible that you have found your funds by freelancing – exactly what I did when I was broke. For the coming 4 years, I will be in Scotland (pursuing my PhD and exploring the Highlands), so if you set foot somewhere there, do get in touch. It will be wonderful to meet you in person. Cheers and have a wonderful time. Can’t wait to read the next account. absolutely brilliant, you are very inspiring. i am glad to found out about you and your experiences. Hi Shivya, your story inspires me. I left a career behind to improve on my health, and I chose to travel. My friends commended me on taking a bold move, and I too patted myself on the back for that decision. But my travels are rather “tame” compared to yours, and I am a bit more emboldened to try some “riskiness” in my future travels. I admire your courage and your intelligence, and I would like to wish you continuous great travels and living a life which is admirably off the beaten track. Good for you for following your dreams and discovering what lay beyond the mountains! I am inspired. What a beautiful blog. Thanks! I am a person who wish to be a nomad atleast for couple of years like other nomads. While I was going through some of the travel blogs which talks about the funding I stumbled on this Indian girl adventure blog. Hats off to you . I admire you for succeeding your passion for travelling. Keep travelling and posting. Each and every things you put in this blog is really inspiring. I wish I could do it in the future. YOur story really inspired me. I feel like leaving the job right away and get on the road. As I am not into the blogging stuff and wiriting much, I think I need to begin from the scratch by learning some skills like web developing or I will have to improve the writing skills where I can survive financially on the road. Superb , simple words and very expressive. had gone through various blogger pages in last 24 hours but the simplicity in your way of expressing feelings or i can say your presentation forced me to come back to your page in the end again. I found a travel lover in your blogs. Hi Shivya, I appreciate the way you present your travel experiences to the world. I am also a passionate traveller like you. All the best! I would only say that while I am wandering with the same restlessness of a routine job, exploring my writing skills (poems and quotes), evaluating the option to calling the routine job a quit, your blog and journey has been truly an inspirational read! Keep shining!!! You’re living the life, I’ve always dreamed about. Hope! We will meet somewhere throughout our trips. #HumhainRaahi #Phirmilengechaltechalte. Thanks for telling us about Yourself. Indeed much to learn from your Blog. I am truly inspired by you and your Travelling adventures. thanks for sharing this inspiration because recently i also quit my job for my dream. Well if we are bloggers then we have to learn to live to like you. It need guts to leave your home and dedicate your life to live your dreams. i personally think sometime to leave this all moh maaya and dedicate my one and only life to my dreams and passion. but the next second it reminds me about my responsibility about family and all. it need a level up dedication and motivation to make decision like you’ve made some years ago. Great.. loved it. Hi Shivya!! I’m Sakhi. I just finished high school and I’ve, somewhat roughly, been planning a road trip around all the major countries and cities of the world. Although I have a very vague idea of how i should go about it and lack the resources right now, i do make up for all that with a lot of passion and drive to get this accomplished. After looking at your website i see that you have traveled to quite a few places that i am meaning to go to. I would love it if you’d be kind enough to answer a few of my questions about your trips and a few insights into what you learned and what i must keep in mind as i travel overseas. Drop in an email anytime !! What about your family? were they consciously happy or active with your choices or not? I read your blog and fall in love with it. Keep sharing your beautiful experiences. I also want to travel on such places. traveling the world is happiness. I also want to travel on such places. traveling the world is happiness..
Really, a nice experience by you !! Nice blog/website, you inspire me to travel! I also have a dream to travel like you and thats way I am saving money for fulfulling my dream. You inspired me a lot. Thanks for telling us about Yourself. Indeed much to learn from your Blog. I am truly inspired by you and your Travelling adventures….